Treat your landscape to a refresh in the New Year to improve heatlh and beauty. It’s that time of year when we all start making lists of how much healthier we’re going to be in the coming New Year. Why not make a few resolutions for a healthier lawn and landscape too? 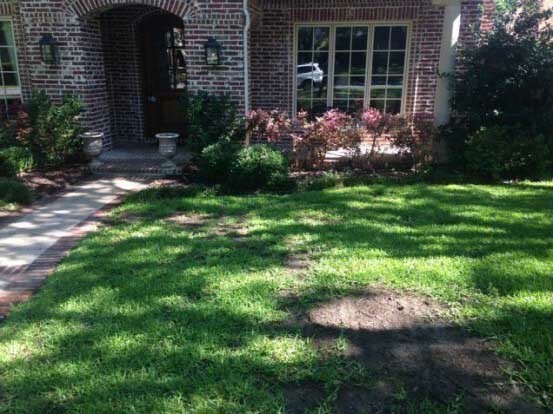 Reduce lawn in shade areas. If you’ve been struggling to keep a lawn alive in shady conditions, it may be time to stop wasting all that water and fertilizer. 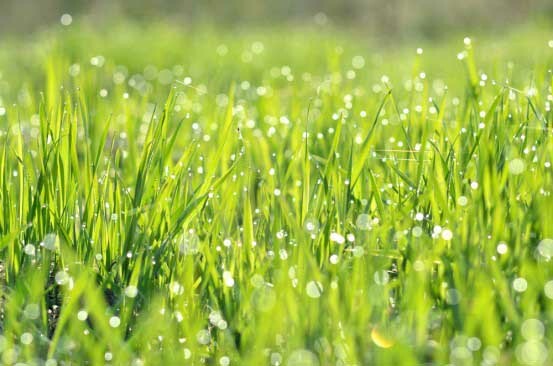 While there are a few varieties of warm season lawn grasses that can tolerate some shade, they are all sun-loving plants. Over time, lawns that receive too much shade will thin out and go into decline. Your best bet is to replace these areas with shade-loving ground covers, or extend your landscape beds and plant shade loving shrubs and perennials. More on growing lawns in shade here. Out with the old, in with the new! A good number of the homes around the Dallas area were built in the '70s and '80s and so where the landscapes. Many have foundation plantings of hollies, boxwoods and elaeagnus that are exhausted well past their expiration date. Many of these shrubs are now growing in way too much shade and compacted soil; as a result they look spindly and may be suffering constantly from infestations of pests such as scale or mealybugs. Plants aren’t permanent: It’s ok to renovate your landscape and foundation beds to refresh exhausted, unhealthy or unattractive plants that may now now be growing in the right conditions. Updating your landscape will not only improve curb appeal, but also help you better enjoy your landscape. Healthy plants will require less water and fertilizer to look their best. Go organic and give it time. Have you been on the fence about going organic in your lawn and landscape? The New Year is the perfect time to make the switch to an all-organic maintenance plan. Using organics in your landscape is good for you, your environment and your plants. But, how does it work? The basis of a good organic maintenance plan is always building healthy soil first. When the soil is healthy, everything else in the landscape seems to just fall into place. We also suggest giving your organics time to work. In a world of instant gratification, it can be easy to get frustrated when you don’t see instant results from organic treatments. Healthy soil takes time to build and over time, your lawn and landscape will improve if you have a little patience and stick with it. Got weeds? Apply a bit of elbow grease. If you are on an all-organic lawn maintenance plan, you are going to have some weeds. Monocultures aren’t natural in nature, so when you keep a natural lawn you’re bound to have a few weeds mixed in. The reality is that hand pulling some weeds will be a part of maintaining a healthy organic landscape. And if one of your personal resolutions is to get healthier in 2016, getting out into the garden to pull weeds now and then is a great way to burn off some extra calories! We understand the weeds might be frustrating for you…but again, give your plan time to work. As your soil and lawn strengthens, it will be better able to naturally smother out weed invaders. Learn why a few weeds in your lawn is ok and what you can do to better manage them HERE. If you’d like someone to DIFY (do it for you), take a look at our Soil Building Program. Wishing everyone a happy, safe and healthy New Year!